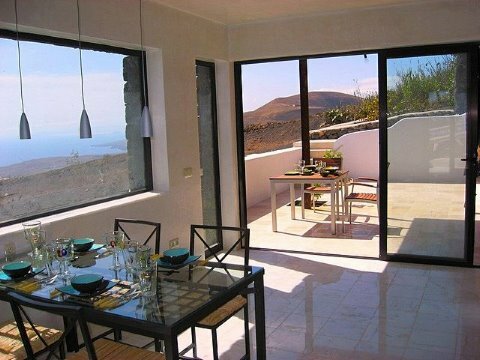 This luxurious little apartment high up on a hill has one of the most marvelous sights of Lanzarote and as such it is a real jewel amongst all the accommodations in the south of the island. 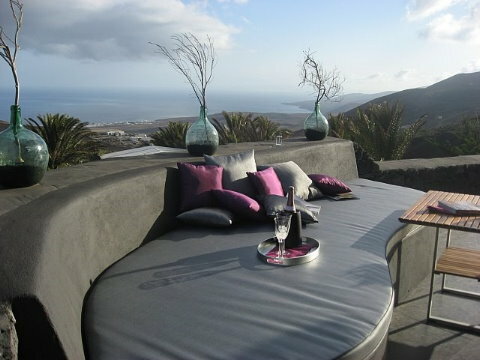 From the terrace you have a wide and wonderful panorama with even sight to Fuerteventura. 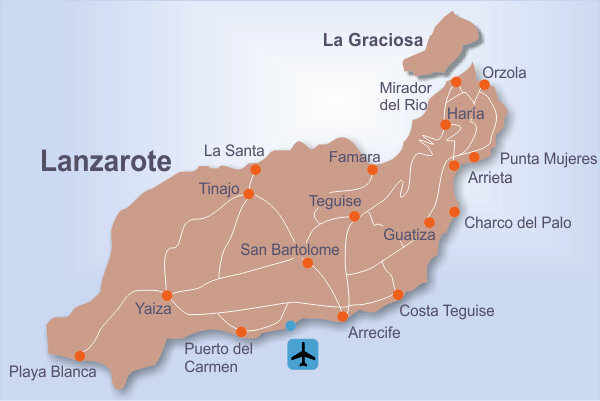 The apartment is part of a finca with over 50.000m2 ground and lots of palms and other plants. In fact it is added to the main building but nevertheless it is an independent seperate unit in the midst of a green oasis. Inside it simply exceeds all expectations with its brilliant but plain elegance. And of course everything is very tastefully and matching furnished. 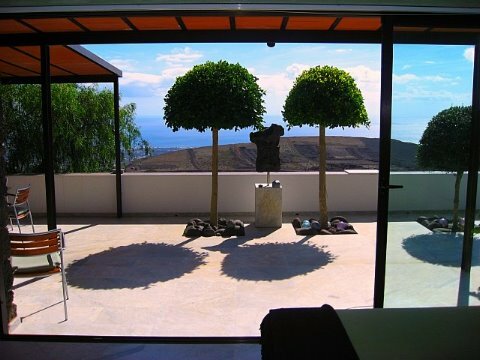 You enter the living room from a small terrace. 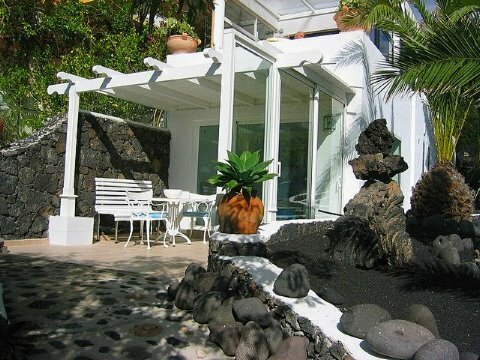 There you find cosy seats, satellite-TV, music equipment, Internet-DSL, a heating, as well as a very well equipped kitchen. In the rear you will find the bath and beside the bedroom with a kingsize bed (1,60 x 2,00m) and even from here you can enjoy a bit of the wonderful sight. Rent per night 75,- eur, final cleaning inclusive.